Looking for heart-raking, gut wrenching movies like Fences? This film is already being whispered as a possible award winner this year. 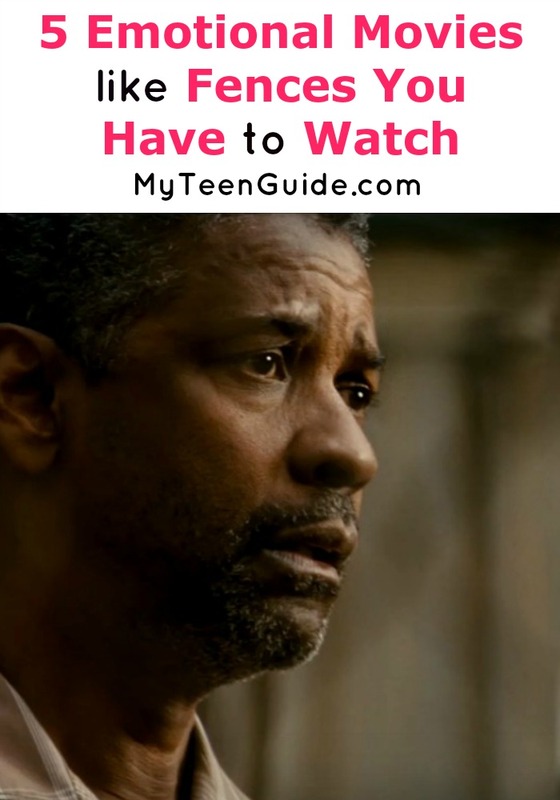 With both Denzel Washington and Viola Davis filling extremely emotional roles and a topic that hits you right at the heart. In case this isn’t enough on it’s own, here are five more dramas like Fences that you can watch now! Fences is a drama that is based on the play of the same name by August Wilson. The movie focuses on Troy Maxson, a former baseball player who now works as a waste collector. He finds himself having a tough time supporting his family, while also dealing with certain events in his life. Fences stars Denzel Washington as Troy Maxson. Watch the Fences 2016 trailer below and then we will share our favorite movies like Fences! Here are some other movies like Fences. Mississippi Damned is a 2009 drama movie that is based on the true life of Tina Mabry, a movie director and writer who grew up in Tupelo, Mississippi, centering on the lives of sisters Leigh and Kari Peterson and their cousin Sammy Stone and the addiction, abuse and violence they faced. Mississippi Damned stars Chasity Kershal Hammitte as Leigh, Tessa Thompson as Kari and Malcolm Goodwin as Sammy. 12 Years A Slave is a 2013 period drama movie that is adapted from the 1853 memoir Twelve Years A Slave by Solomon Northup, an African American who was born in New York, kidnapped in 1841 and sold into slavery, where he worked on Louisiana plantations for 12 years until he was released. 12 Years A Slave stars Chiwetel Ejiofor as Solomon Northup. The Butler is a 2013 historical drama movie that is loosely based on the real life of Eugene Allen and features the story of Cecil Gaines, a butler who worked for 34 years at the White House. The Butler stars Forest Whitaker as Cecil Gaines. Coat of Many Colors is a 2015 television drama movie that is based on the true story of country music singer and songwriter Dolly Parton, focusing on her childhood in Sevier County, Tennessee. Coat of Many Colors stars Alyvia Alyn Lind as Dolly Parton. Manchester by the Sea is a 2016 drama movie that focuses on Lee Chandler, who is appointed legal guardian of Patrick Chandler when Patrick’s father and Lee’s brother, Joe Chandler, dies suddenly. Upon his return to his hometown in Massachusetts, Lee must deal with not only the community but also his ex-wife, Randi Chandler. Manchester by the Sea stars Casey Affleck as Lee, Kyle Chandler as Joe, Lucas Hedges as Patrick and Michelle Williams as Randi. Coat of Many Colors is going to be a classic, but I think the big star of this list is 12 years a slave for drama and intensity. Which of these movies like Fences do you think is the most gripping drama?